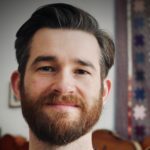 A large part of the 60s folk revival was made up of people who didn’t grow up with the genres of American vernacular music learning to play it themselves. Initially, those largely urban or suburban populations, with their formal music education and frequent lack of groups to play the music with, had few options to learn the music other than records, concerts, and festivals. But beginning in the 1960s, a handful of instructional books began to appear that filled the need for more detailed ways to learn, with special credit due to Oak Publications which began in 1960 as a channel to publish the series “Reprints from Sing Out!”. 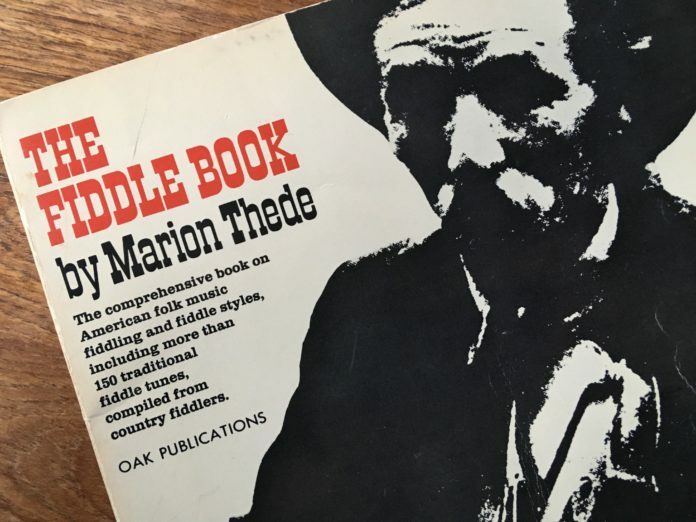 One of the earliest instructional books on oldtime fiddle was Marion Thede’s The Fiddle Book, published by Oak in 1967. Thede was born in the territory known then as the Chicksaw Indian Nation in 1903, before the territory became the state of Oklahoma. She began learning classical violin at a very young age and then, after marriage and spending time as a missionary in Bolivia, became a violin teacher back in Oklahoma. But it was in 1928, after a small performance at a school, that a local fiddle player known only as Mr. Brown got on the stage and played tunes that would change Thede’s musical path for the rest of her life. 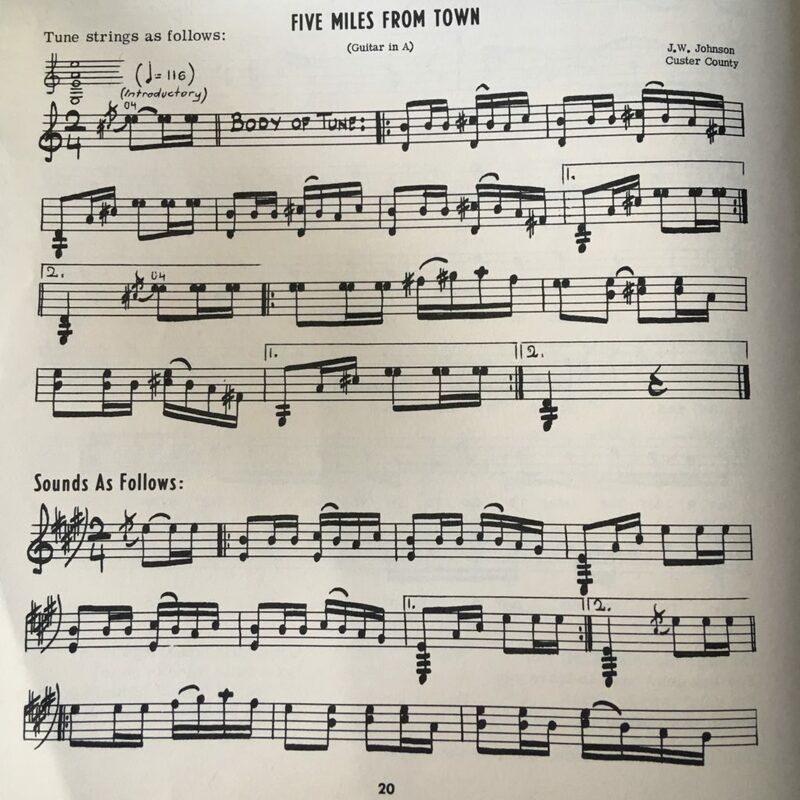 It is tunes collected by Thede personally in and around Oklahoma in the 30s through the 60s that make up most of the more than 150 tunes and songs in The Fiddle Book. Recordings of some of the tunes in Thede’s book can be found on Slippery Hill. Many tunes from the Collins’ Family are there, but most of the other fiddlers are now only knowable through these transcriptions. Beyond the tunes themselves, several things make Thede’s book worthy of attention. Many of the tunes in Thede’s book are in non-standard tunings: cross, calico, high bass, etc. At first for her own ease of transcription, Thede would notate the tunes as if in standard tuning so that classically-trained violinists would be able to simply retune their instrument but continue to read the notation as normal. Thus, the notes actually notated are largely not the pitches represented, but they allow for much easier sight reading, if the player is already accustomed to standard notation and tuning. In addition, Thede includes the notation as it actually sounds. Thus many of the tunes are notated here twice: once as they sound and once for ease of reading. Many of the tunes Thede collected had a few verses that would be sung with them. And Thede collected songs as well; as a result, as many as a third of the tunes in the book have lyrics that accompany them. In addition, she was sensitive to the fact that the sung melodies were often different than those played. In many instances she provides a transcription of the vocal melody as well. The Fiddle Book is more than just a collection of transcriptions. Although not aspiring to a scholarly register, Thede wrote texts that address how she came play to fiddle, notes on bowings, instrument set-up, technique, short stories related to some tunes, as well as general comments on oldtime fiddling in the region. This array of different topics gives the reader a good sense both of Thede herself, but also the fiddlers she learned from and oldtime as she experienced it then. Predictably, The Fiddle Book is long out of print. But it is still possible to find one here and there. 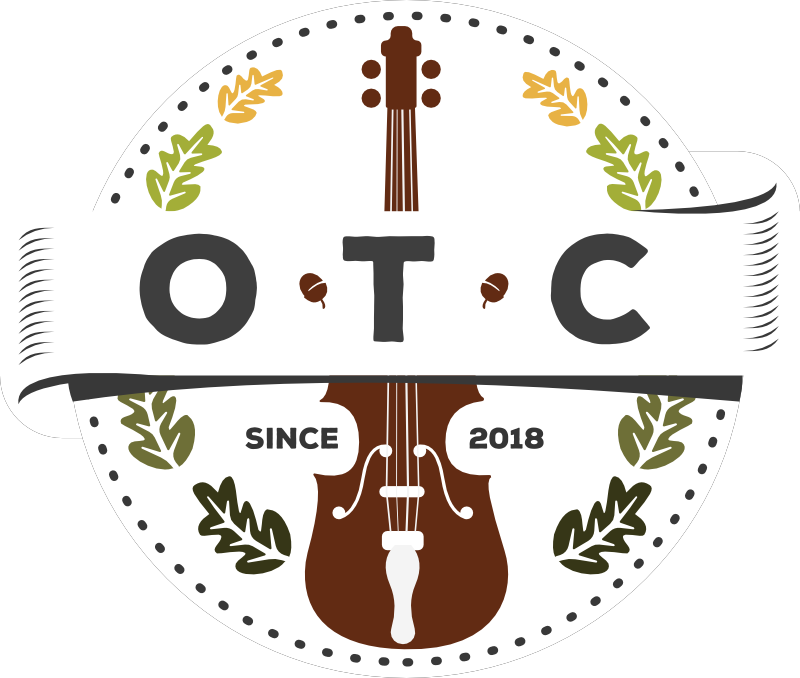 If you’re curious about fiddling from Oklahoma, want to dive into the details of bowing, or just learn more about Marion Thede’s fascinating story, then track one down. It’ll be well worth your while.